We are using two handicapping systems; the Portsmouth Yardstick Scheme, as promoted by the RYA and the Club's Funcap system, based on the CYCA but modified after each race. Although the basis of the Portsmouth Yardstick Scheme is not hugely different the CYCA system we have used to date has used information for yacht classes which were under reported and outdated. The Race Entrants Form will allow you to provide the information required to calculate the correct handicap. for your boat. This form should be filled in and returned to the Secretary or handed in to the club. An email version is available on the website. If you are racing it’s very much in your interest to provide this information because whereas it will be possible to race on the ‘base’ handicap the form provides for the inputting of adjustments to this number which for the most part will be to your benefit. The revised system will (and indeed should) mean that the best sailors will still win most of the time, but we hope that this revised system of calculation will lead to a slightly more level playing field. The Funcap system was introduced to give more incentive to those of us who enjoy racing to have some chance of a result even if our abilities may not be the best in the Firth! The inaccuracies of the CYCA system in a small mixed fleet can also be eliminated. The disadvantage of the Funcap system is the results may heavily depend on crew ability and may penalise the better sailors. The Funcap system works by selecting the first boat under CYCA and calculating the handicap achieved in the race by every boat. The Funcap number for the next race would be increased or decreased by 50% of the difference between the handicap achieved and the last Funcap number. All is calculated painlessly by the computer. 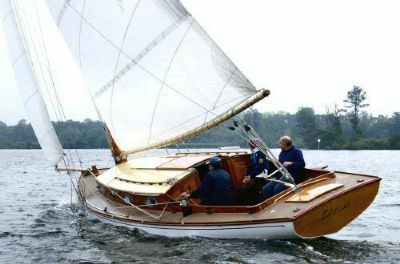 When a new entrant joins the racing, the boat starts off with the CYCA number (skippers are encouraged to apply for a CYCA handicap) and it will need at least one race result to allocate a Funcap number, after then the system should work quite well. Please enter a few races to get a Funcap number calculated, the more boats we have in the system the better the overall results will be. The best part of the Funcap method is that a Skipper can easily see if he is improving as the number will reduce when good results are achieved. In 2004 we realigned the Funcap numbers with CYCA numbers, a necessary task to allow new boats to the fleet an even chance of starting the season correctly.